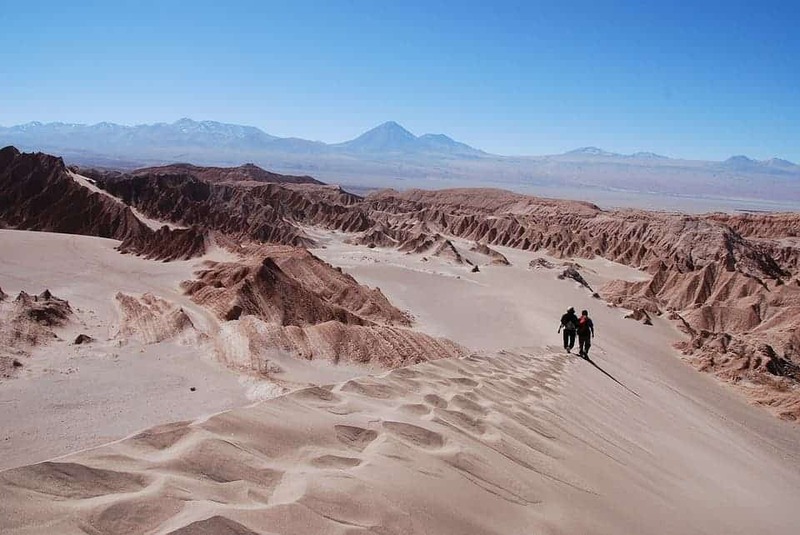 The Atacama Desert is not only the driest but also the oldest desert on Earth. It’s so dry that in some parts — like its hyper-arid core — there has been no sign of rain recorded for 500 years. You’d think that a bit of rain would be a godsend the few creatures that live there. But for many microbial species that have become adapted to living almost without any water, recent rainfall that penetrated the hyper-core spelled their doom. However, on the upside, we now know a bit more about what hypothetical creatures living on Mars in similar conditions might have experienced during the Red Planet’s rich geological history, according to a new study published in Scientific Reports. The Atacama Desert in northern Chile is a (typically) rainless plateau that covers almost a 600-mile area. It’s 50 times drier than Death Valley and the average rainfall there is just one millimeter per year. In the early 20th century not one single drop of rain reached Atacama’s surface for 173 months. In fact, it’s so dead, barren and alien that NASA regularly conducts tests here simulating conditions on Mars. For millions of years, regions of the Atacama Desert have remained hyperarid. But even in such inhospitable conditions, some surface soil microbial species have adapted to survive with meager amounts of liquid water. However, researchers from the Center for Astrobiology (CAB) at the Universidad Autónoma de Chile found that recent unexpected rainfall caused many microbial species to quickly perish from the osmotic shock caused by the sudden abundance of water. According to the researchers, the extinction range reaches 85%, wiping out all archaea and eukaryotes. Only a handful of bacteria, such as a newly identified species of Halomonas, remain metabolically active and are able to reproduce in the lagoons. The rains have been attributed to changing climate over the Pacific Ocean. “Our group has discovered that, contrary to what could be expected intuitively, the never-before-seen rainfall has not triggered a flowering of life in Atacama, but instead, the rains have caused enormous devastation in the microbial species that inhabited the region before the heavy precipitations,” Dr. Alberto G. Fairén, lead author of the new study, said in a statement. The findings are important in the context of the astrobiological exploration of Mars, a hyperarid planet that experienced catastrophic floodings in ancient times. During the Red Planet’s early days, in a period called the Noachian (4.5-3.5 billion years ago), its surface used to to be richly covered in water, not at all that different from Earth. This is an undisputed fact among researchers, judging from hydrogeological evidence present on the Martian surface such as hydrated minerals, and geological formations such as dried rivers, lakes, deltas, and a huge basin that looks like an ocean in the northern plains. 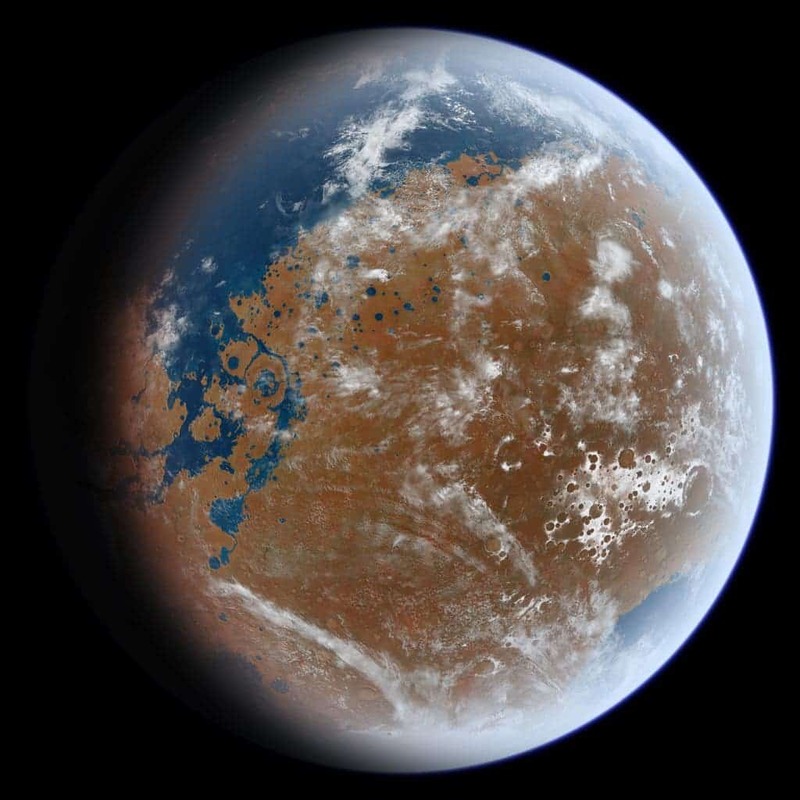 An artist’s impression of what ancient Mars may have looked like, based on geological data. Image by Ittiz. After this ‘wet’ period, which looks like it could have easily supported life, Mars lost its atmosphere and hydrosphere. “But at times during the Hesperian period (from 3.5 to 3 billion years ago), large volumes of water carved its surface in the form of outflow channels, the largest channels in the solar system. If there were still microbial communities withstanding the process of extreme drying, they would have been subjected to processes of osmotic stress similar to those we have studied in Atacama,” Fairén said. When liquid water resurfaced on Mars, it might have actually killed any pockets of life that may have survived submerged deep under the soil, these new findings seem to suggest.